This is part three of a new mini-series looking at different Sports in Korean. This series is aimed towards early learners or Korean Language beginners. 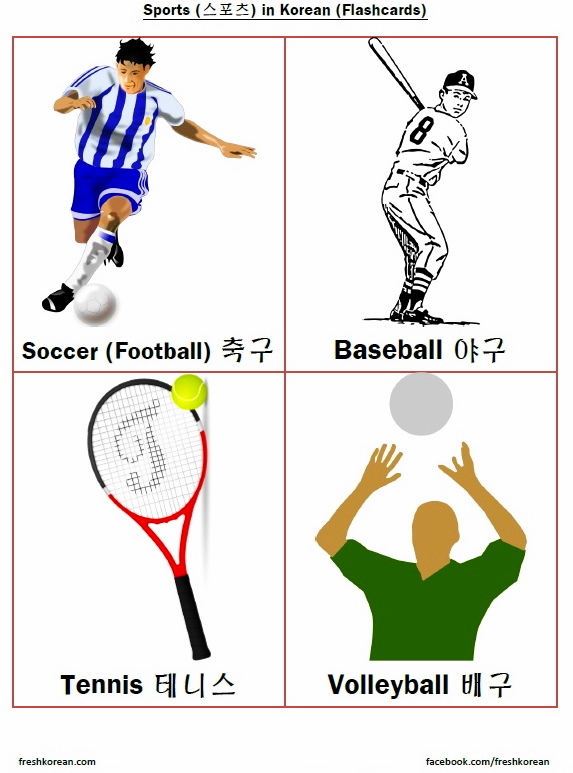 Learning the different Sports can be useful in a few different situations such as when discussing favorites, it’s also useful when building vocabulary and practicing reading. 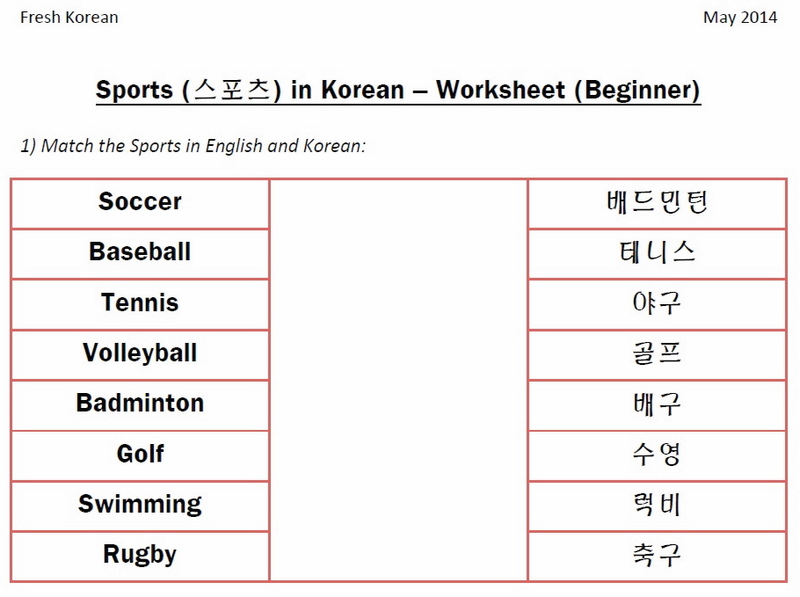 Part 3 is a practice worksheet containing two different questions checking your understanding of the 8 different Sports featured in part 1 of the series (Flashcards Click Here) / and also part 2 (Writing Click Here). 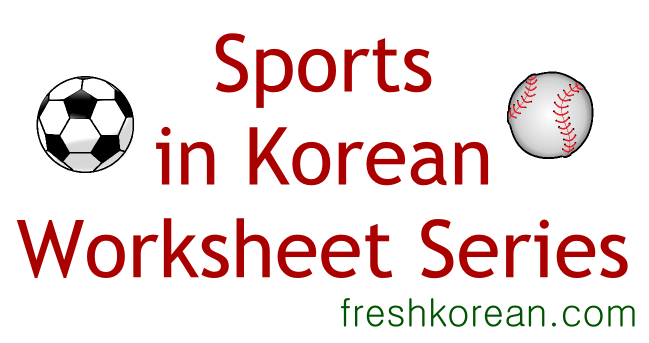 This is part two of a new mini-series looking at different Sports in Korean. This series is aimed towards early learners or Korean Language beginners. Learning some different sports can be useful when talking with friends and discussing favorites it’s also useful when building vocabulary and practicing reading/writing. 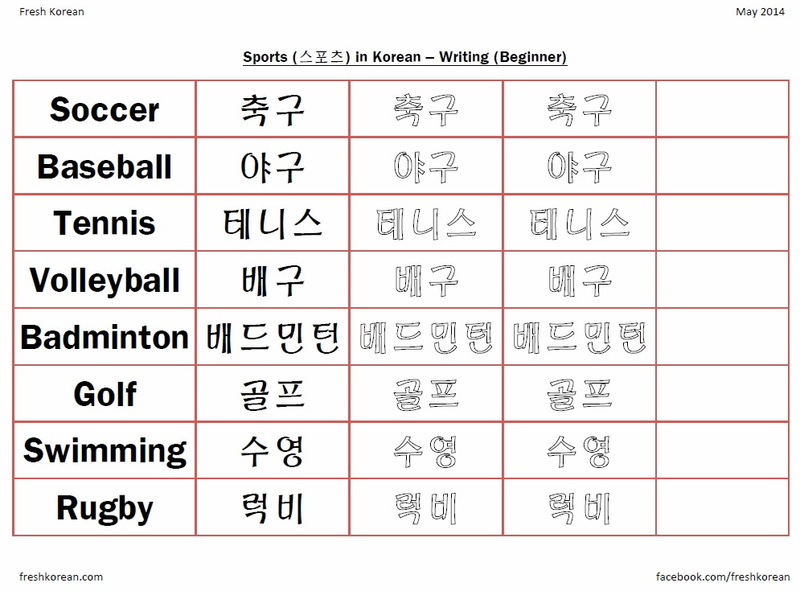 Part 2 is a basic writing worksheet using the 8 different Sports featured in part 1 of the series (Flashcards Click Here).